Eels for summer! During the height of a hot summer season, let’s eat eel rich in vitamins to give oneselves added vigor. ※On the day of the ox in midsummer Japanese have a custom to eat eel which started in the Edo period . Tuesday, July 25th and Sunday, August 6th in this summer!! This is a healthy eel dish using special sauce without any chemical additives. The use of charcoal in grilling imparts a savory aroma and keeps the flesh plump and juicy. Nijiya’s eel kabayaki is a highly recommended food for connoisseurs. Kagoshima is currently the largest producer of eels shipped in Japan. 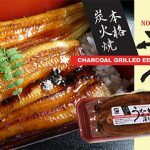 Among their eel kabayaki products is a kabayaki grilled with a special sauce and using Binchotan charcoal. The method of slow grilling over high heat imparts a savory aroma to the eel. 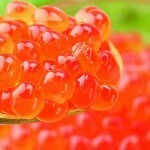 We marinate the choicest ikura (salmon roe), from carefully selected fresh Alaskan salmon roe in our special sauce. It’s the perfect accompaniment to rice or sushi. You won’t find this delicious, natural shoyu ikura (salmon roe marinated in soy sauce) anywhere else. 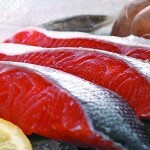 We recommend Copper River salmon because of its low sodium content, which is good for the body. The Copper River is known for its long, treacherously choppy waves. Salmon must consume and store a lot of nutrition in order to complete their journey upstream on this river. As a result, the fat content of salmon in the Copper River is approximately 2.5 times that of regular salmon. For this reason, Copper River Salmon is world famous. Each year during the season of peak freshness, Nijiya produces enough lightly salted Copper River salmon for the entire year. Because we keep ample stock, customers know they can enjoy delicious Copper River salmon throughout the year. Nijiya’s duBreton Pork is from Canada and it has been fed with 100% all natural vegetables including corn, soybean meal, wheat, gluten flour, beans and soy. The pork has no chemicals such as antibiotics; the process of breeding, feeding, and meat processing was thoroughly checked by monitors so the pork is healthy and safe. DuBreton Pork is filled with vitamins! Compared to other meats, our pork has Vitamin E1 that is good for stamina. It also has Vitamin B2 that promotes growth, Vitamin E to help us stay young, and it has minerals such as phosphorus, sulfur, and potassium which helps with metabolism. To our elderly and children, it is filled with nutrients that help the body. Nijiya Homemade Satsuma-Age Ball! / タコ丸天＆イカ丸天 新登場! New items are added to NIJIYA HOMEMADE SATSUMA-AGE! They are made with squid or octopus, plenty of cabbage, other vegetables, and selected Alaskan Pollack paste, and NO MSG. The tastes are very close to Okonomi-Yaki(Japanese pancake) or Takoyaki(Pancake ball with octopus), but both has less carbohydrate and more protein. Please taste as it is, or use as an ingredient of Oden, hot pot, Nimono, and soup. NIJIYA ORIGINAL SATSUMA-AGE (FISH CAKE) is made with selected Alaskan Pollack paste. We never use MSG so that customers can feel natural taste of fish and other ingredients. Please also watch our cute commercial below!! 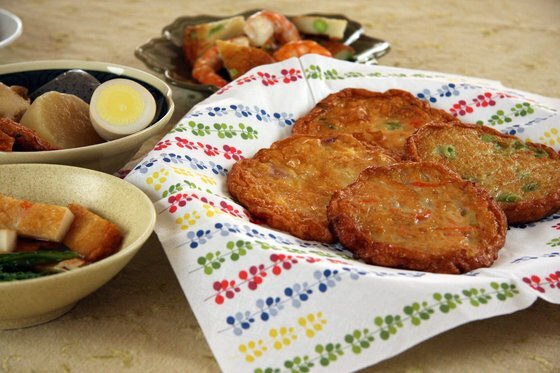 This traditional fish cake is very nutritious – made with variety of vegetables-onions, carrots, burdock, and sweet potato. A hint of sweetness from sweet potato is enhancing the beautiful flavor. Crashed and whole Edamame is kneaded with fish paste. Edamame is known as wholesome food because it is rich in Vitamin A and C that are not significant amount with Soybeans. 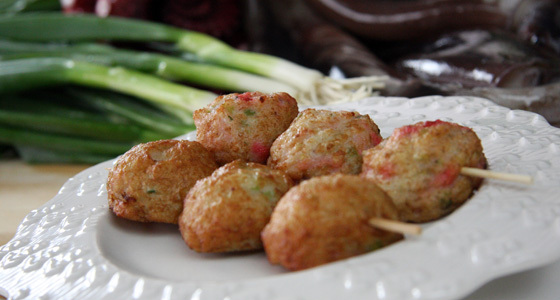 This “Pizza-like” fish cake is kid’s favorite, and can be a healthy and nutritious snack for all generations. 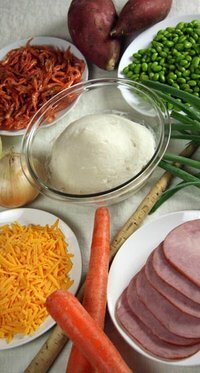 We use selected Nijiya Original Ham that is with No MSG. Crashed superior dried shrimp is kneaded with fish paste and green onion. Please enjoy the harmonious aroma of shrimp and green onion and feel the Umami of seafood. We are introducing new light style tuna cans. We use select skipjack tuna is lower in fat content, resulting in lower calories. Skipjack tuna is also a great source of EPA, DHA, taurine, Vitamin B, and Vitamin D.
It comes in two styles; in water and in oil. With safety our topmost concern, purified water is used for the “in water” and non-GMO soybean oil for the “in oil” version. The skipjack tuna are sourced in the Pacific and Indian ocean and processed in a state-of-the-art facility in Indonesia. The facility is operated and managed by industry leading Japanese firms, so the production is under strict safety and quality control. Using high-tech production equipment and techniques, the products meet the always demanding standard of Japanese consumers. 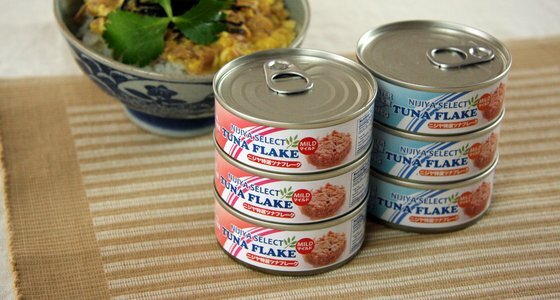 Please try our Japanese style select tuna flakes at a price you don’t find anywhere else. 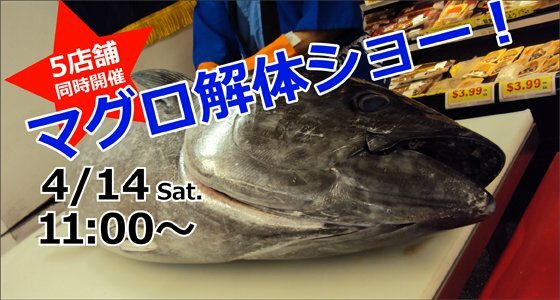 Please come and enjoy our Tuna Filleting Performance on 4/14 Sat! Torrance, West L.A., Little Tokyo, San Diego, Mountain View. High-End Black Pork “IBERICO Pork” is now available at Nijiya!! 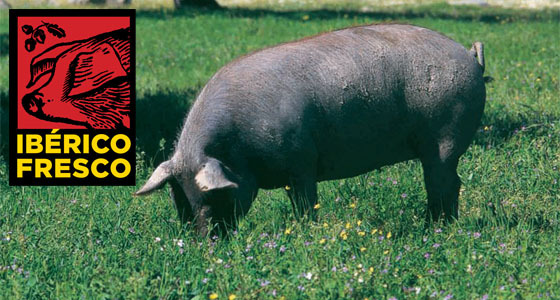 “Iberico Pork” is s super premium pork from Spain and well recognized among gourmet. What’s special about this pork? They are pastured without resistance in nature. Each pig is assigned a lot more space than that of regular pigs. In addition, they are 100% acorn-fed. It is all natural without GMO, and hormone drugs. It is not distributed in U.S.A. except for some restaurants. This time, Nijiya Market has just started carrying Iberico Pork as one of our meat selections. Nijiya Market carries only the highest grade of Iberico Pork (De Bellota). 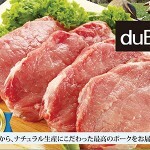 Please try this super premium pork!! Shabu-Shabu season is coming! You can buy all the ingredients for Nabe (hot pot) party at your local Nijiya store: Dubreton pork slice, Nijiya sesame sauce, organic vegitables and organic Tofu. You can also watch this video on TV from middle of October.